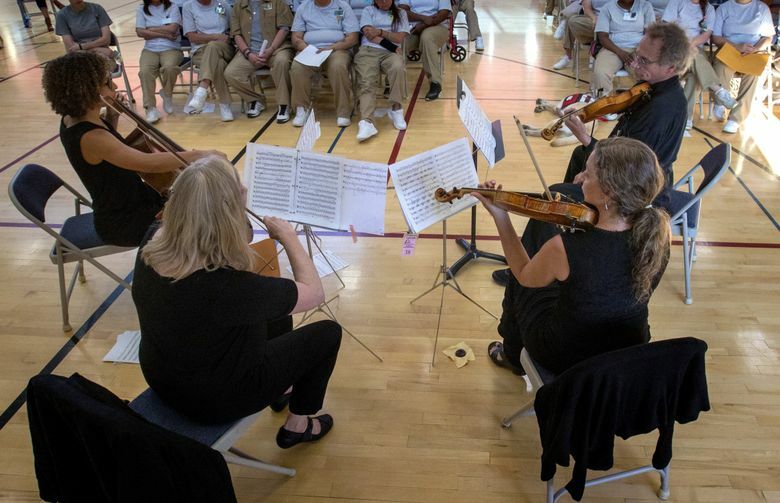 When The Seattle Symphony brought a string quartet to the Washington Corrections Center for Women, it performed for one of its most attentive audiences yet. Audience members at Benaroya Hall typically refrain from clapping between movements, a 20th-century custom spearheaded by elite critics and concertgoers bothered by commoners who felt the music so strongly they couldn’t help but cheer. 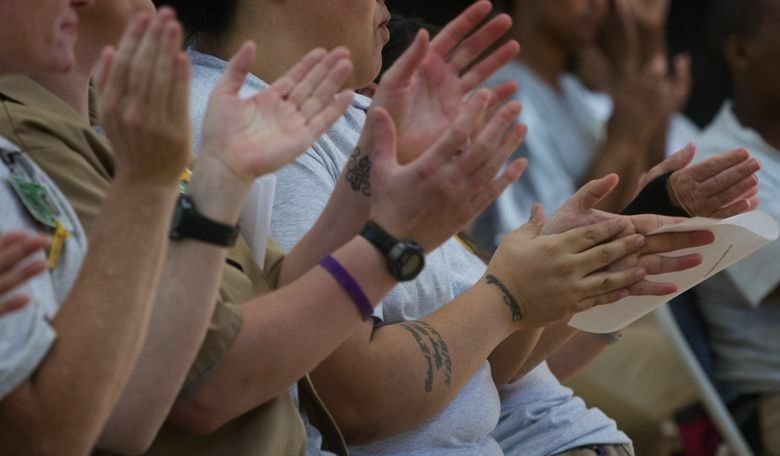 But when the Seattle Symphony brought a string quartet to the Washington Corrections Center for Women this week, the inmates in attendance didn’t just clap between the movements of String Quartet No. 3 in D Major. They stood and erupted in applause. It’s the way Beethoven would have wanted it. 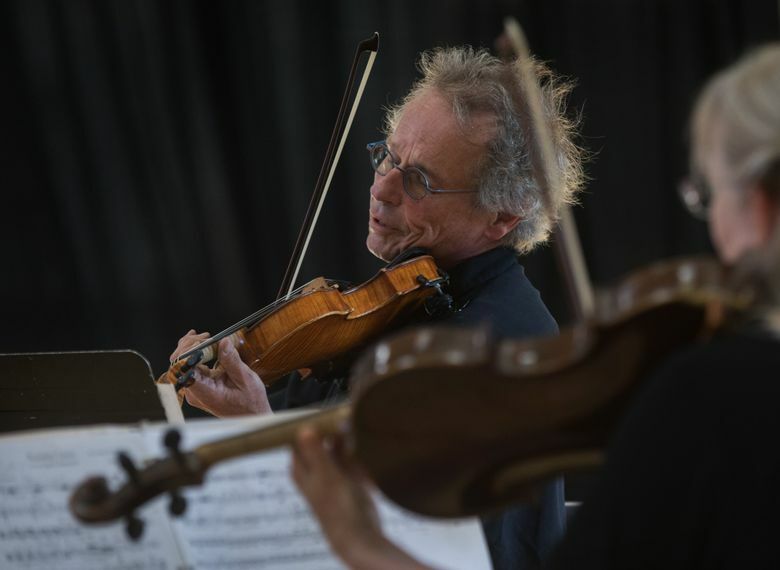 “The prison audiences are the best, always,” said Steve Bryant, first violinist with the Seattle Symphony. 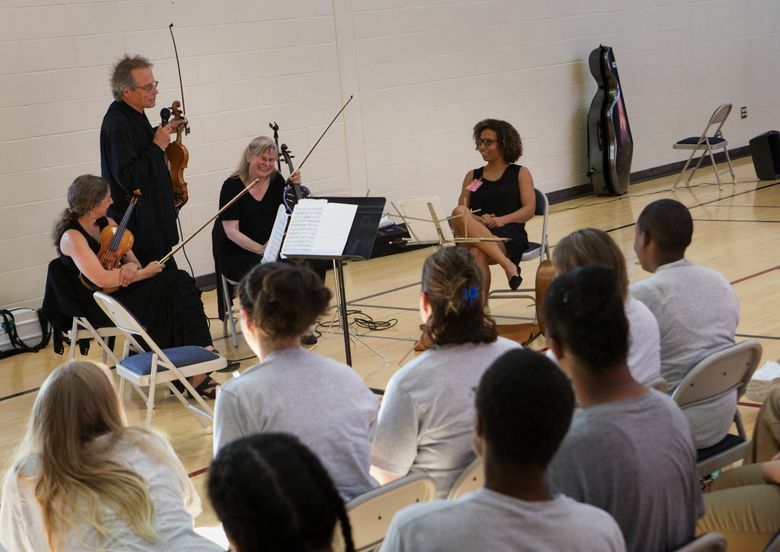 Steve and his viola-playing wife, Sue Jane Bryant, have been integral parts of the Symphony’s prison outreach efforts since they helped initiate a string quartet performance at Monroe Correctional Complex in 2011. They quickly realized they had found some of their most enthusiastic, attentive and knowledgeable audiences yet, Bryant said, some of them stumping seasoned professional musicians with their tough questions and sharp aural memories. The women who elected to attend Tuesday’s performance were no exception: eyes closed, lips fixed in contented smiles, they swayed to the music with the dignified posture of a professional violinist and wrote composers’ names on the backs of their hands. “The music is super relaxing,” said Augustina Flores-Purser, who has been an inmate at the corrections center since September. Flores-Purser is no stranger to classical music. She’s a fan of opera, and used to listen to it during her free time. But Tuesday was the first time she had seen classical music performed live. The performance inspired her friend, Krystal St. Peter, to learn to play an instrument herself. But efforts like these don’t just help fulfill inmates’ need for cultural experiences. According to Laura Reynolds, Vice President of Education and Community Engagement at the Seattle Symphony, prison outreach programs are at their core a way of recognizing that the people in Washington’s prisons are as integral a part of the community as those on the other side of the barbed-wire fence. Bryant shared the same sentiment. “These humans who are incarcerated are still humans,” he said. So while inmates are thrilled to have the opportunity to see professional musicians live in concert, Reynolds said, ultimately they’re most grateful that they’re being seen. And for those who have a bit more time left to serve, coming to performances can make them feel free, if only for an hour or two.